In a recent thread over at NASIOC I saw some inconsistencies in the data being presented. From what I can tell, there was/is some confusion or misunderstanding about what happens when “Shootout mode” is used. I decided to investigate this further. 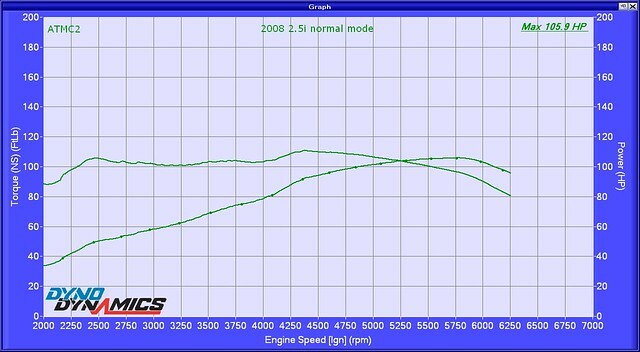 1) Use pre-configured dyno settings and present these settings in the chart. The dyno operator cannot access the “eXtra correction” function (referred to in the thread as CF). In the newer digital dyno software, the ctrl-X shortcut is no longer available. 2) Estimate the engine power (crank power, bhp, or whatever you like to call it). 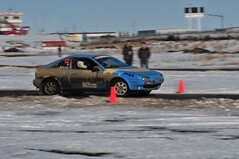 The modes that I am concerned with are in bold; Shoot_4 and Shoot_44, where the latter is intended for 4WD cars. Since AWD drive train would have higher loss than a 2WD system, it made sense to me that results generated in Shoot_44 mode would be higher than generated in Shoot_4 mode. 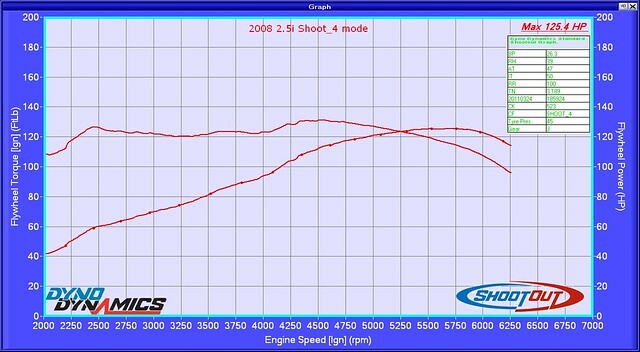 To verify the above, I found a volunteer with a 2008 Subaru 2.5i (MT) and tested it on my 450DS, running 7.3.2.258 software. You can see below that Shoot_44 mode does indeed generate higher output than Shoot_4 mode. First, the results in normal mode. This entry was posted in Uncategorized and tagged dyno dynamics, shootout modes. Bookmark the permalink.